Under the bipartisan proposal, the use of medical marijuana could not be used as the sole factor in hiring and firing decisions for civilian jobs in federal agencies. WASHINGTON, DC – U.S. Rep. Charlie Crist has introduced a bill that would protect those who legally use medical marijuana from discrimination in hiring and firing decisions for jobs in federal agencies. Crist, a Democrat, is co-sponsoring the Fairness in Federal Drug Testing Under State Laws Act (H.R.6589) with Drew Ferguson, a Republican representative from Georgia. The bill would prohibit marijuana metabolite testing from being used as the sole factor to deny or terminate federal employment for civilian positions at executive branch agencies if the individual is in compliance with the marijuana laws in their state of residence. The bill only extends to an individual’s past, private use of cannabis, and does not prohibit probable cause testing if an individual is believed to be impaired at work.The bill does not apply to individuals occupying or seeking a position requiring a top-secret clearance. The goal, Crist said, is to protect federal employment opportunities and treatment options for civilian federal agency employees residing in a state or territory where their use of medical marijuana is legal. Enacted in 1986, the Federal Drug-Free Workplace Program made it a condition for employment that all civilian employees at executive branch agencies be prohibited from using federally illegal substances on or off duty. Medical marijuana is currently legal in 31 states, D.C., Puerto Rico, and Guam, and 46 states have some form of medical marijuana law; however, it remains illegal under federal law. Therefore, federal employees can be denied employment or terminated if they test positive for marijuana metabolites, even if their use is in compliance with state law. This conflict between state and federal laws limits treatment options and federal employment opportunities is especially important for veterans, Crist said. Veterans comprise about one-third of the federal workforce and whose medical cannabis use to treat chronic pain and PTSD has been found to be double the rate of the general public. A recent American Legion poll found that one in five veterans use marijuana to alleviate a medical condition. Ferguson, the bill’s co-sponsor, said, “American workers are reaping the benefits of our growing economy, but some workers are finding themselves caught between federal and state laws governing medical marijuana use. No one should face unemployment for choosing to pursue private legal medical treatment. 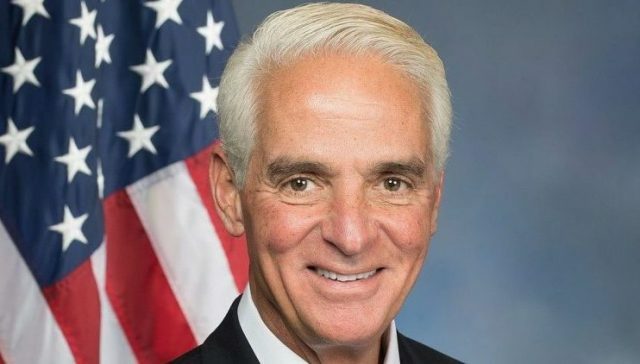 Crist’s proposal has gained support from Americans for Safe Access, Florida for Care, Marijuana Policy Project, National Cannabis Industry Association, NORML, Veterans Cannabis Coalition, and Weed for Warriors Project.